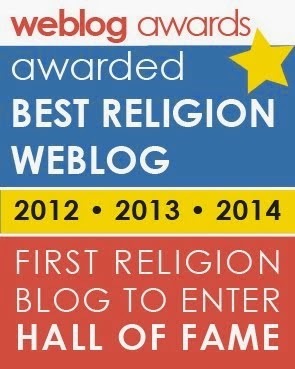 Last year, The Norse Mythology Blog was a finalist for Best Religion Weblog in the Weblog Awards. That was a pretty big deal in itself, but this year was the topper; I won the award by beating Christian Blog, Freethought Blogs and Religion Dispatches. What does it mean that a one-man blog about Odin, Thor and Freya won an international popular vote over these large multi-author sites? I began writing this blog less than two years ago, at the end of March 2010. Since then, I have met and corresponded with an amazingly wide array of people who are passionate about Norse myth. It is this incredibly diverse international group that is responsible for the victory that this blog has achieved in the Bloggies. The roots of what we now call Norse mythology can arguably be dated back to approximately 4,000 years ago – an antiquity comparable to that of Judaism. These ancient “reverse echoes” of the mythological corpus that was preserved and codified by 13th-century Icelanders may come from a time that is so distant as to be largely unknowable, but the meme that began so long ago continues to affect the thoughts and lives of a great many living in today’s world. 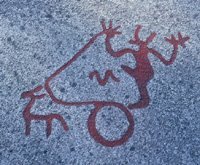 Bohuslän rock carving (c1800 BCE): a "reverse echo" of Thor or Frey? Nearly 900 years after the last northern nation converted to Christianity and officially abandoned the ancient faith that gave birth to this body of myths, why does Norse mythology continue to have such an outsized impact on so many people? Why does Norse mythology still matter? There are as many answers as there are people in this diverse community of interest. I would like to present a portrait of some of the wonderful people I have had the privilege of interacting with since The Norse Mythology Blog went live. By examining their connections to Norse myth, I believe that we can gain some small understanding of the meaning that this material has for modern life – and begin to see how it remains deeply relevant to public discourse in today’s world. I have been lucky enough to teach Norse myth and Norse religion to students from many stages of life, including high school, college and adult. 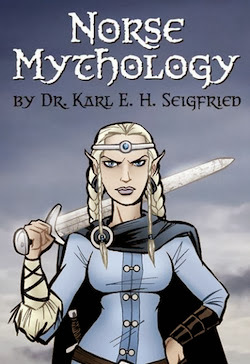 There is definitely a hunger to learn more about Norse mythology. The questions students ask are telling, and they reflect a gap in American education that cries out to be filled. Why is this material not taught in literature classes? Why do courses on the heritage of European culture include Greek myths but not Norse? Why do history classes ignore the cultural artifacts of pre-Christian Europe? Over fifty years after archaeology proved that Vikings visited North America, why are American schoolchildren still taught that Christopher Columbus was the first European to arrive? 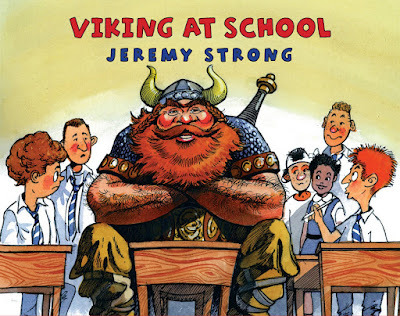 There's clearly a need for more Vikings in the classroom. The reasons that students contact me or enroll in my classes are very wide-ranging. The initial interest can stem from a love of Scandinavian metal bands, Marvel Comics, gaming or the works of J. R. R. Tolkien. For some, the impetus comes from a familial connection to Germany, Scandinavia or Britain – lands where the ancient religions that gave birth to this mythology once held sway. Some have already studied the material on their own; others arrive with few preconceptions. One of the great joys of teaching this subject is to watch light bulbs appear over the students’ heads as they suddenly realize where Tolkien got a scene from, how the parliamentary system relates to Old Norse society, how some folklore superstition of their immigrant grandmother has distant roots in the Old Way, or how something they read in Beowulf or saw in a Wagner opera now actually makes sense. In-person and via email, I have discussed various aspects of Norse myth with several brilliant scholars, some who work independently and some who are attached to academic institutions. Their areas of expertise range from fine points of Germanic philology to gender issues in the Icelandic sagas to explications of obtuse poetic imagery to interpretations of ancient runic inscriptions. They come from a dizzying array of scholarly backgrounds and traditions, yet all are united by a passion for studying this body of work. Kudos if you can transliterate and translate the inscription; bonus points if you can then identify which Old Norse mythological poem provided the text! The final ring was modeled on a 9th-century Anglo-Saxon rune ring from Lancashire. Although I’m a member of both the Society for the Advancement of Scandinavian Study (US) and the Viking Society for Northern Research (UK) – and regularly read their journals and other publications – I’m starting to think that the editors of Óðrœrir may be doing the most inspiring work. The journal is put together by members of a widespread community of reconstructionist heathens who are joined together by a “uniting belief that reconstruction of our various traditions is dependent on understanding their origins.” In the spirit of the great amateur scholars of the 19th century, they have immersed themselves in research with a passion that would be noteworthy if found inside academia, remarkable when found outside of it. Óðrœrir's editors hold contributors to academic standards and have contacted many in the field (including me) to ask for advice and comment. I think that what they’re doing is something quite special, and I hope that those in academia will realize the beauty of non-academics, in effect, giving themselves reading assignments and writing research papers. If you're looking for a grass roots movement that can help the field to expand and grow, here it is. I have had conversations and creative collaborations with artists from a wide range of disciplines – musicians, authors and visual artists. 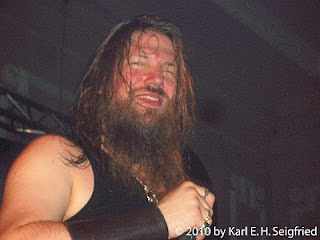 The first interview I did for this site was with Johan Hegg, the vocalist for Swedish Viking metal band Amon Amarth. The interview has received more visits to the website than anything else I’ve posted – with the exception of my article on Stephen Hawking and the interview where a very intelligent high school student plied me with astute questions about Norse mythology and religion. In 2011, Amon Amarth’s Surtur Rising was, for a time, the #1 hard rock album in America – charting ahead of major mainstream acts including Pearl Jam, Foo Fighters and Linkin Park. That’s pretty impressive for a band with lyrics that deal almost exclusively with myths of Ragnarök. Nik and I recorded a much more subdued collaboration in our jazz duet inspired by the Lincolnshire Charm, which references the Norse gods: “With this mell [hammer] I thrice do knock: one for God, one for Wod and one for Lok.” To create a video for the track, I used clips from Fritz Lang’s Siegfried (1924), the first part of the Austrian director’s silent film epic, Die Nibelungen – creating a virtual dialogue across the decades between artists who were inspired by these ancient materials. Outside of music, I have corresponded with comic book artists whose work continues the tradition of (re)interpreting Norse myth that goes back at least to the work of Stan Lee and Jack Kirby in the early 1960s. American author/artist Erik Evensen has created a thoughtful work that is faithful to the ancient source material in Gods of Asgard; British artist Richard Elson (to be interviewed here later this year) uses his amazing artistic gifts to create new tales within the guidelines of the Marvel Universe for Thor and Journey Into Mystery. Beginning with Wolfsangel, UK author M.D. Lachlan has created a powerful new fantasy series that uses elements of Norse myth in a stunning and unique way. 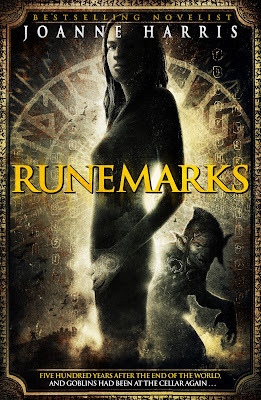 Bestselling author Joanna Harris brilliantly recontextualizes the myths in a series that begins with Runemarks; my long-delayed interview with her will finally happen when I get my act together and finish reading and taking notes on the second book, Runelight – hopefully before the third book sees print! The point of all this is that these ancient stories continue to inspire new artistic creations a millennium after they were first written down. If you start the clock in the 13th century (with the writing down of the Eddas), Thor is clearly the longest-running superhero in history. Congratulations on your win! Considering I voted for you, I think it's very well deserved. ;) I love the wide range of topics you cover on this site and the really in-depth way you think and write about them. I'm looking forward to seeing what you do next! "If you start the clock in the 13th century (with the writing down of the Eddas), Thor is clearly the longest-running superhero in history." Fans of Herakles/Hercules might differ. But congratulations on the blog award anyway! Please notice that I said "if you start the clock in the 13th century." That's actually a very late date. Thor was worshiped long before Snorri got around to writing about him. I was just being conservative . . . If, however, you accept that carvings like this one from 1800 BCE (http://tinyurl.com/ThorBCE) represent a very early version of the Thunder God, then Thor predates Herakles by over 1,000 years. In any case, Thor has been continually appearing in Marvel Comics since 1962. Hercules is (at best) a minor character in the Marvel Universe and (at worst) a supporting character in Thor comics. Ouch! 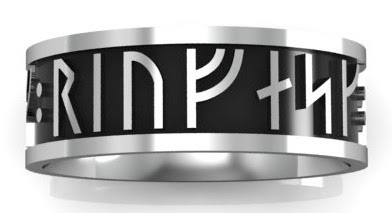 Would you be so kind as to enlighten us to the meaning of your wedding ring inscription? I've tried and failed miserably to decipher it! I'll give you a hint . . . they're Viking-aqe runes. If I tell you anything more, I'll be breaking my vow of silence! This is seriously so fascinating! 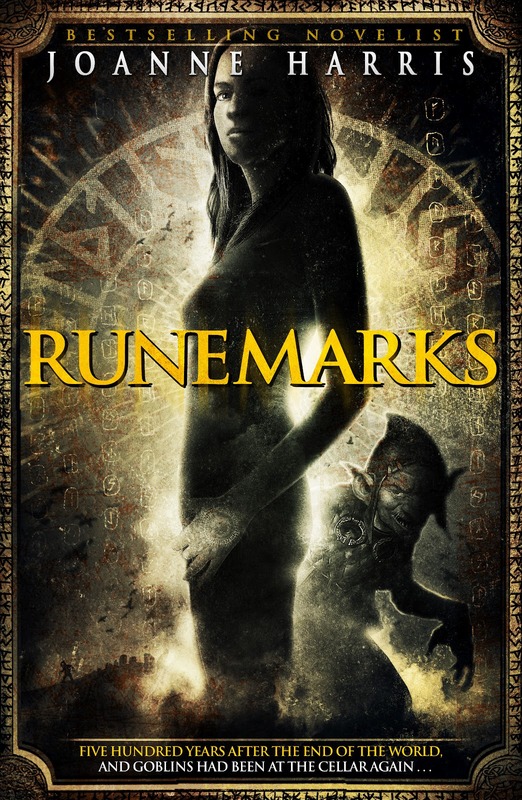 I just started reseaching up on norse mythology after I read RUNEMARKS from Joanne Harris. I figured it out! I won't post it if it is meant to be secret, but what a beautiful line to use.